What Are The Risks And Benefits Of Taking Melatonin? Melatonin is the hormone responsible for the onset of sleep, which leads to the popular belief that synthetic versions will lead to increased sleep benefits. 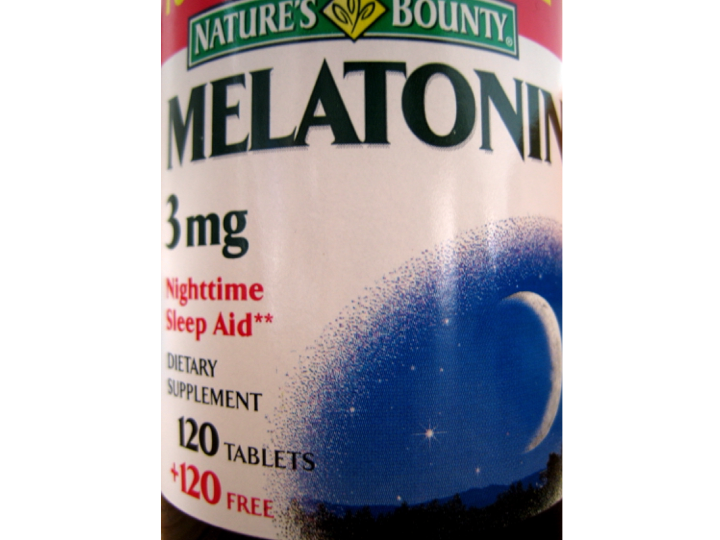 Melatonin supplements have gained recent popularity among the public. Melatonin is the hormone responsible for the onset of sleep, which leads to the popular belief that synthetic versions will lead to increased sleep benefits. It is marketed as a natural sleep aid, but is important to assess if this ‘natural’ product is safe and effective. Melatonin is currently the only hormone available in the United States without a prescription. Some foods naturally contain melatonin; therefore, it is approved for retail as a dietary supplement instead of a drug. The Food and Drug Administration does not control this product, and it is made without regulation in factories. This indicates the uncertainty that whether listed doses are truly the actual doses that the pill contains. Most of the melatonin pills on the market are offered at doses that raise blood levels higher than what is naturally produced in the body. A standard dose of 1 to 3 mg may elevate blood levels of melatonin to anywhere between 1 and 20 times the normal amount. Doctors and researchers have raised several concerns regarding an extensive use of melatonin. However, there are yet to be any reported cases of proven toxicity or overdose on melatonin. Researchers are beginning to understand the benefit from exogenous melatonin. B.C Children’s Hospital in Vancouver, Canada completed a study in 1994 that concluded the lag time between the onset of melatonin secretion and the onset of sleep suggests melatonin’s role in promoting sleep. The Agency for Healthcare Research and Quality investigated melatonin’s effectiveness with sleep disorders in 2004. The results of the study suggested that supplement was not effective towards the treatment of most sleep disorders. Although the findings were negative, it was also found that melatonin was safe for short-term use. Further research is necessary to analyze the effects of exogenous melatonin on the sleep cycle, however. Thus, like all drugs, melatonin supplements should be taken properly and its effects on human health monitored closely. The National Sleep Foundation suggests that for melatonin to be advantageous, it should be taken at the proper dose and correct time to be suitable for the sleep problem. If melatonin is taken at the wrong time, it may reset the biological clock in an unfavorable way. The Agency for Healthcare Research and Quality reports that exogenous melatonin is safe, but should only be administered in small doses over a short period of time. Melatonin supplements are not meant for long-term use. Make sure to be aware of any adverse melatonin side effects. Common symptoms include nausea, headache, dizziness, and drowsiness. Consult with a physician before taking melatonin to help decide if melatonin supplements are necessary and beneficial for you. Since no serious side effects or reported cases of toxicity have been reported, there are no known serious risks in taking melatonin supplements. However, it is important to remember that this supplement should be taken in moderation and in the correct dosage to maximize the possibility of experiencing a benefit. If melatonin supplements work for you, you could be well on your way to experiencing a more restful and effective sleep. Buscemi N, Vandermeer B, Pandya R, Hooton N, Tjosvold L, Hartling L, Baker G, Vohra S, Klassen T. Melatonin for Treatment of Sleep Disorders. Agency for Healthcare Research and Quality. 2004; 108. Jan JE, Espezel H, Appleton RE. The Treatment of Sleep Disorders With Melatonin. Dev Med Child Neurol. 1994;36(2):97-107. Kennaway, D. J. (2017). Are the proposed benefits of melatonin-rich foods too hard to swallow?. Critical reviews in food science and nutrition, 57(5), 958-962. Esteban-Zubero, E., García-Gil, F. A., López-Pingarrón, L., Alatorre-Jiménez, M. A., Iñigo-Gil, P., Tan, D. X., ... & Reiter, R. J. (2016). Potential benefits of melatonin in organ transplantation: a review. Journal of Endocrinology, 229(3), R129-R146. Guers, J. (2014). Wake Up to the Benefits of Melatonin. Nutrition. Clemens, R., & Rodriguez, H. (2015). Risks of Melatonin Use in Children.